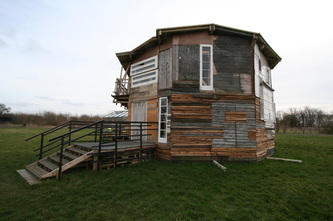 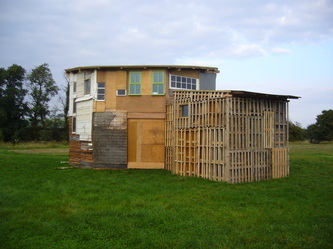 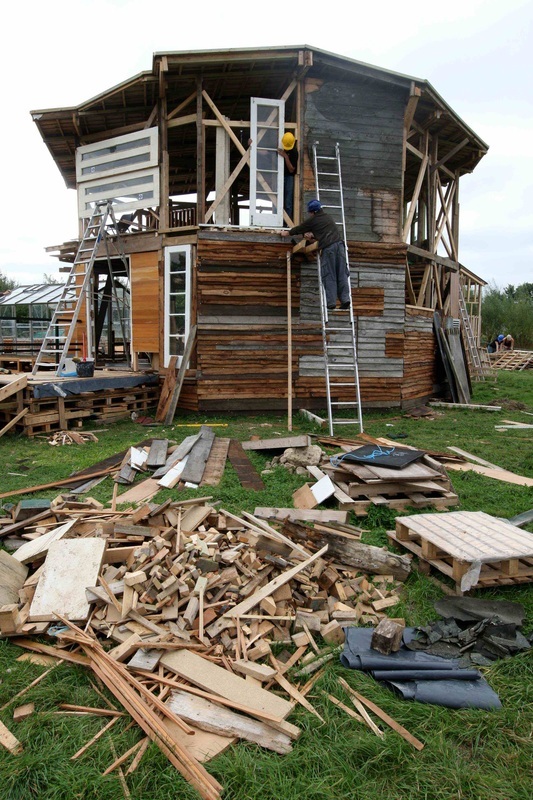 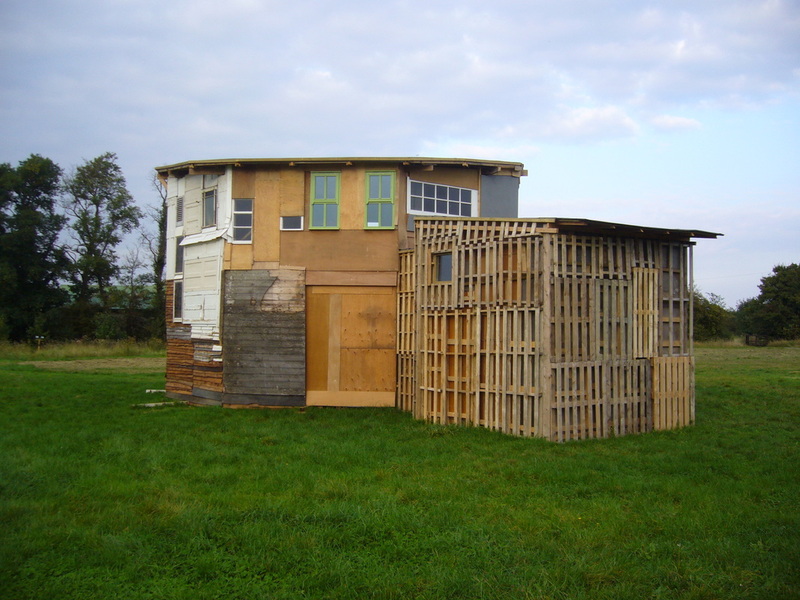 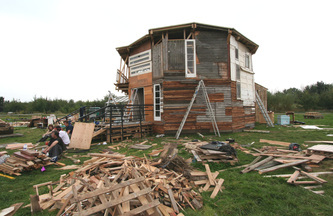 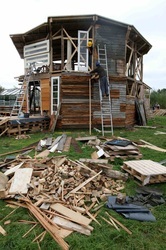 For six weeks, forty volunteers helped assemble an octagonal, two-story, multipurpose building using discarded reclaimed materials on the central square outside Wysing Arts Center. 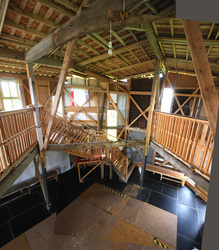 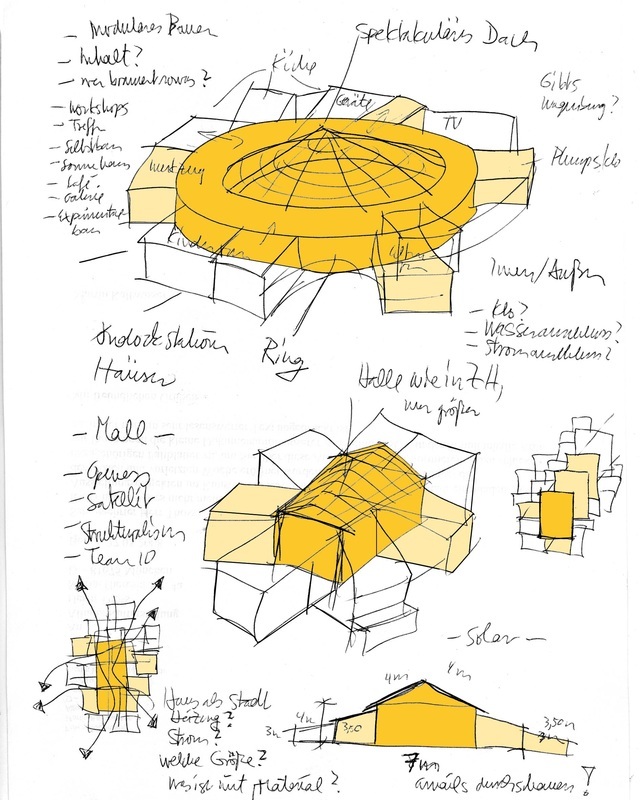 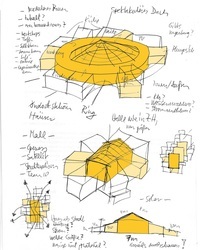 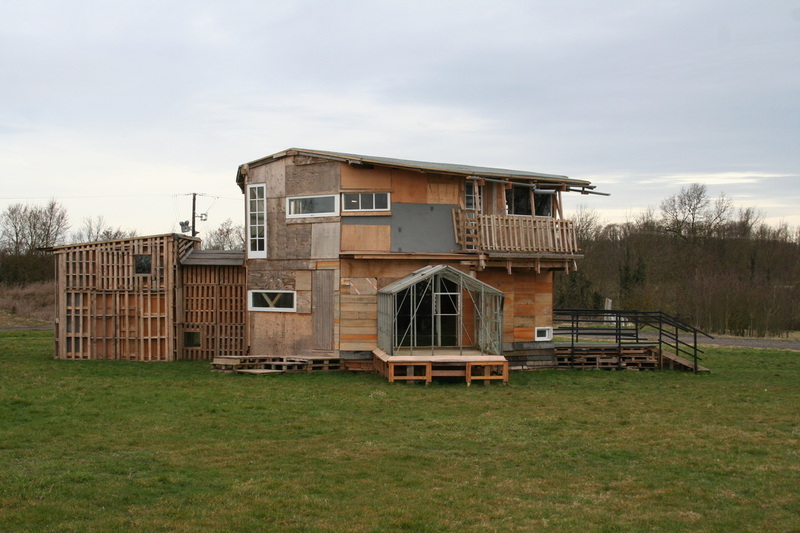 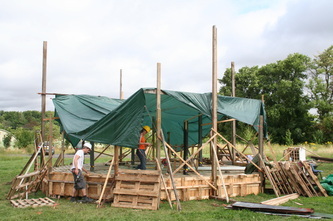 The building became a special events venue and a demonstration model on sustainable, improvised, self-assembly building methods. 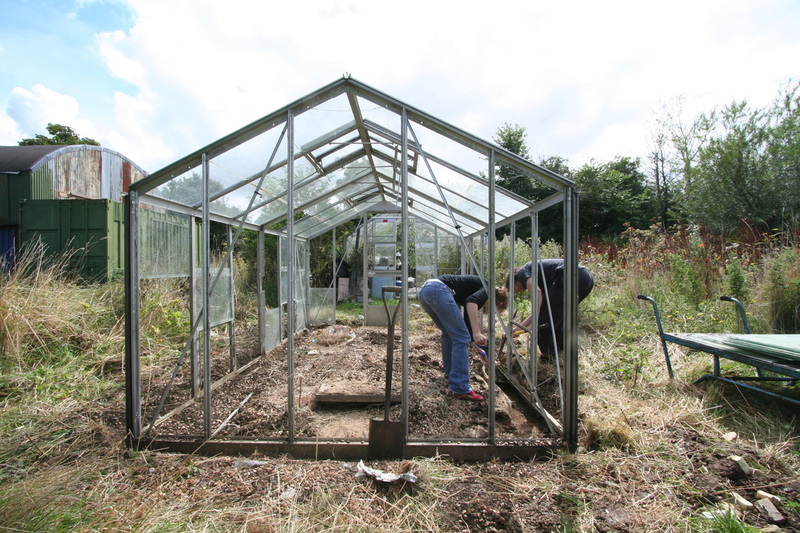 The material was obtained from local building sites or donated by friends and neighbors. 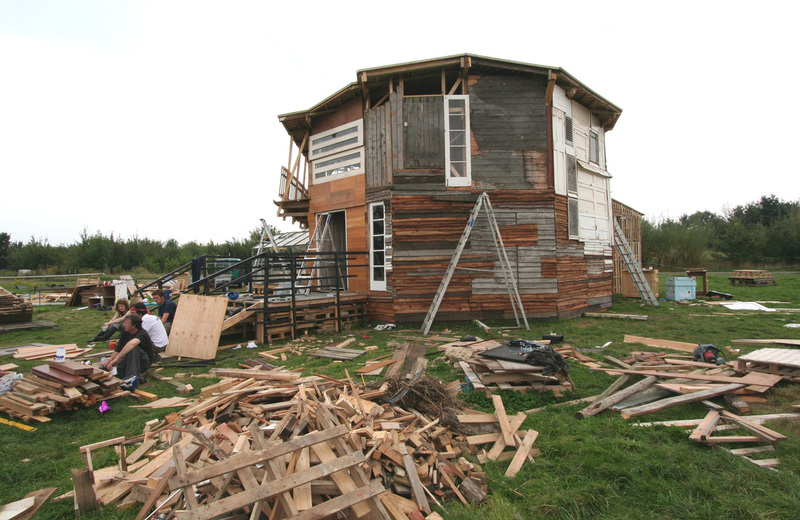 Construction was hindered by adverse conditions. 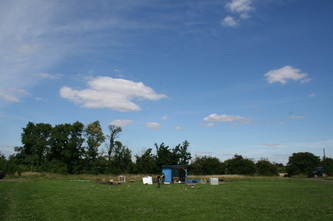 The clay grounds had become rock hard in summer. 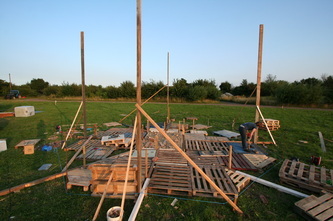 The six-meter-high structure required extra foundations, as there was high wind exposure. 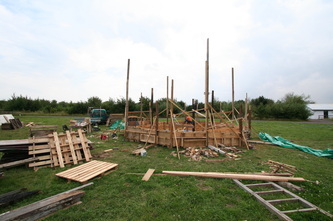 We built an octagonal falsework, eight meters in diameter, from discarded pallets and timber beams, which was filled with thirty-five tons of compressed sand and rubble for stabilization, as concrete was too expensive. 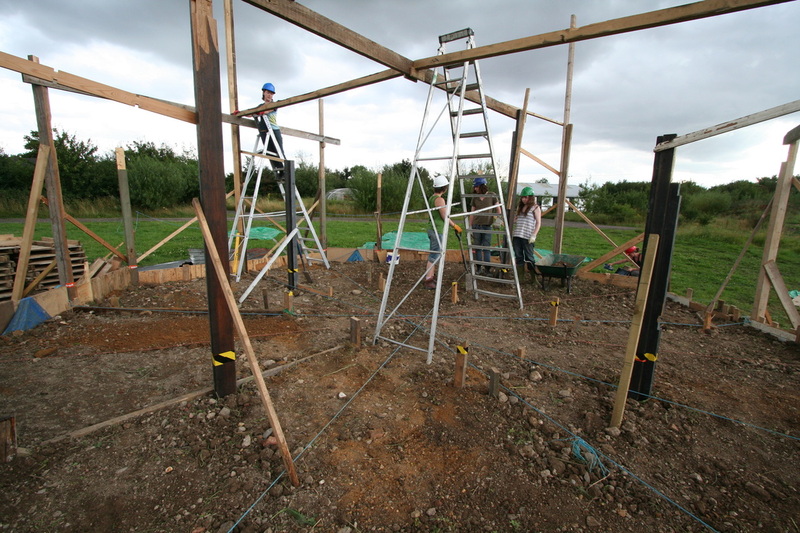 We incorporated a grid of horizontal crossbeams on which we anchored all upright supports. The platform was further strengthened by another layer of disposable pallets tied tightly together. 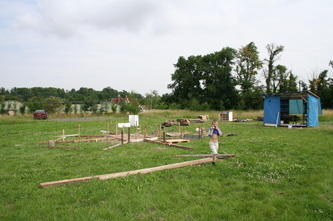 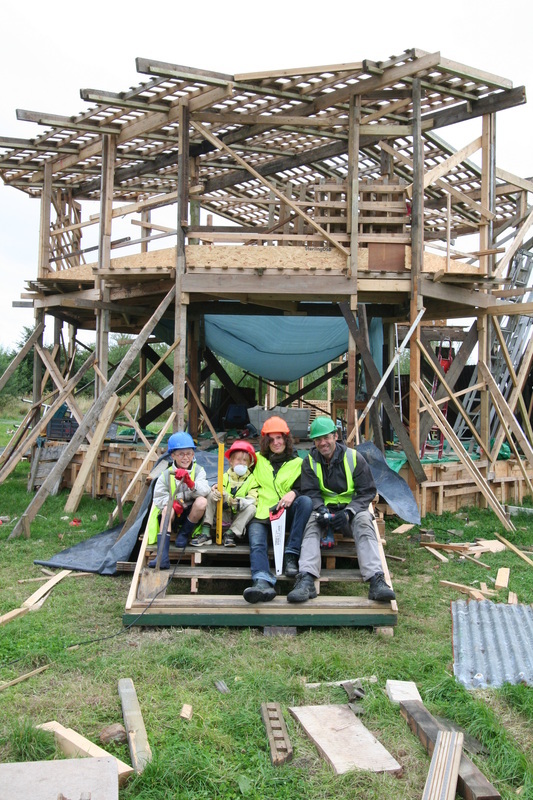 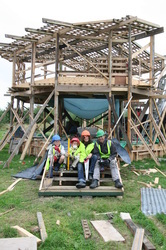 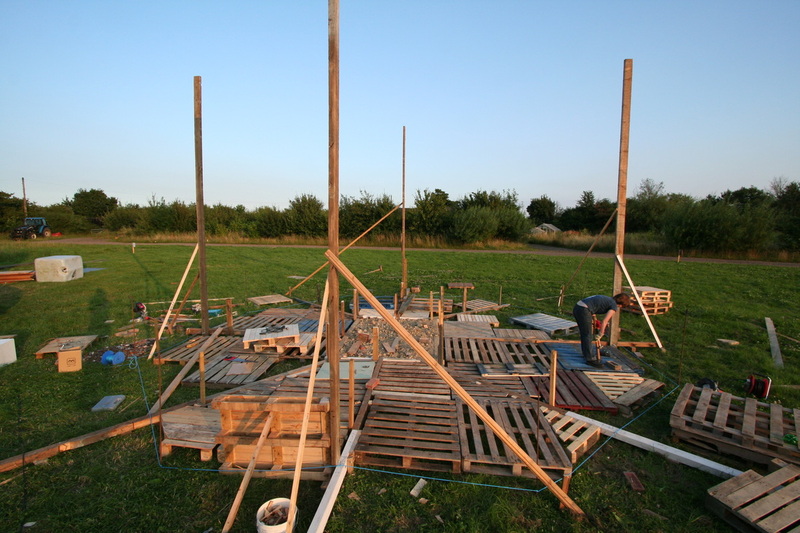 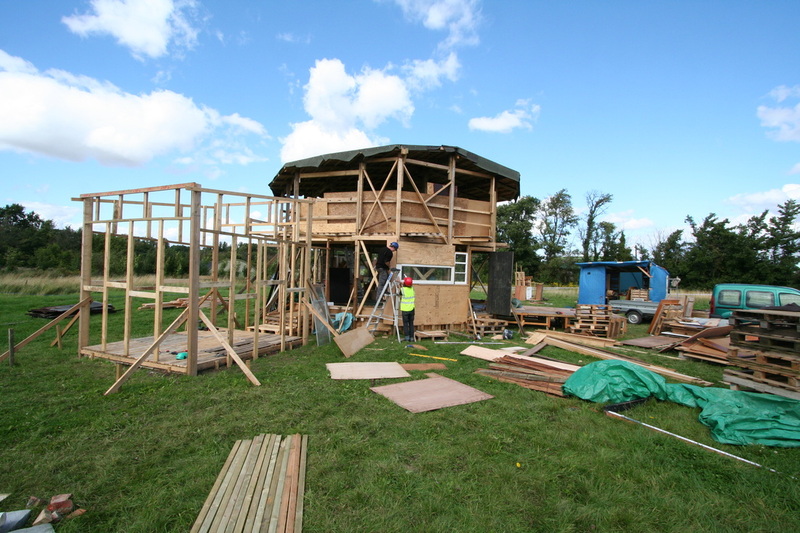 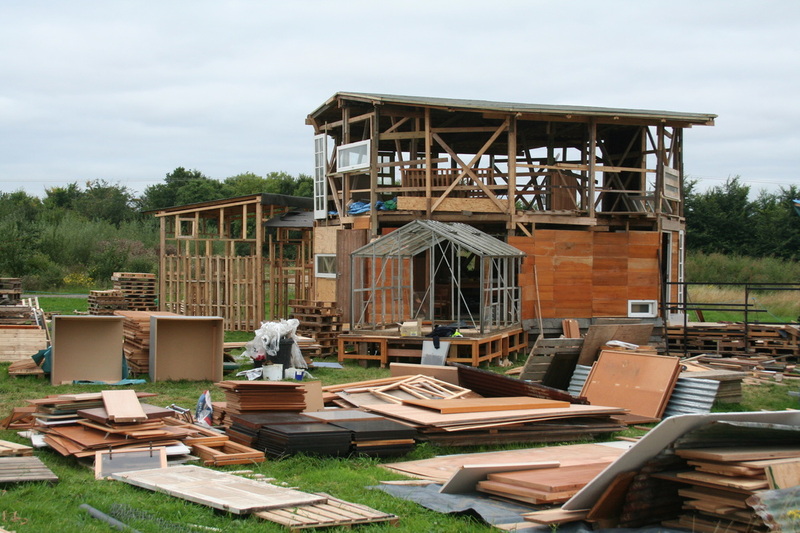 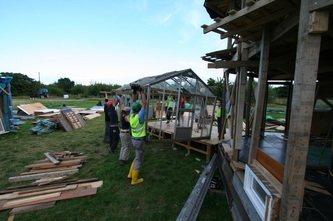 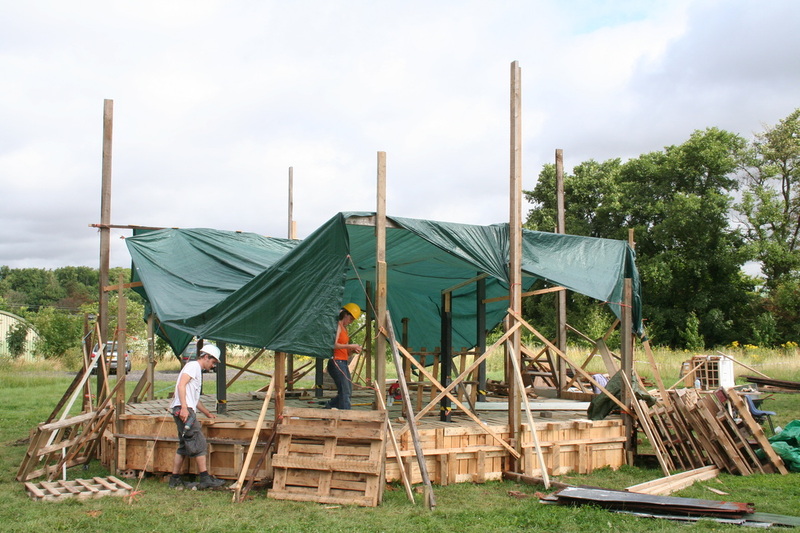 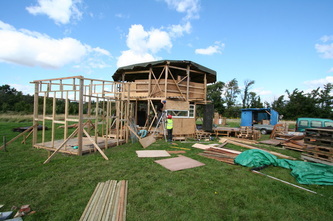 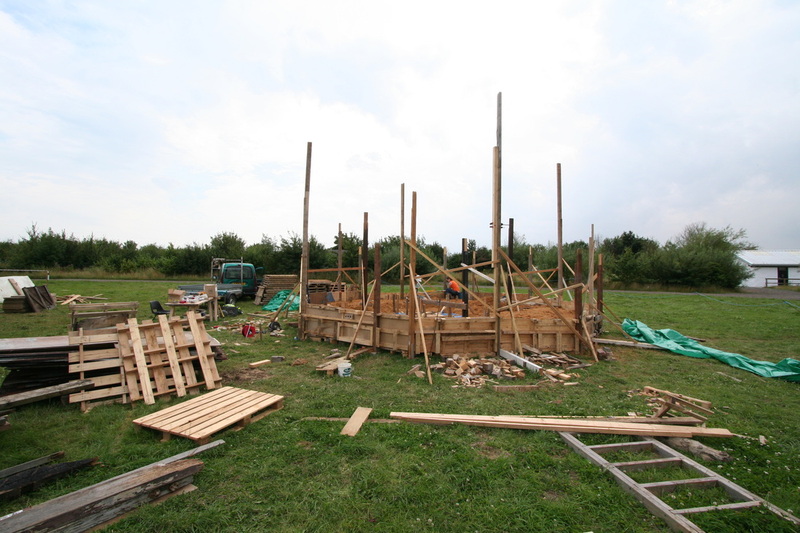 Constructing the foundation took two weeks, which left very little time for the actual timber framed building. 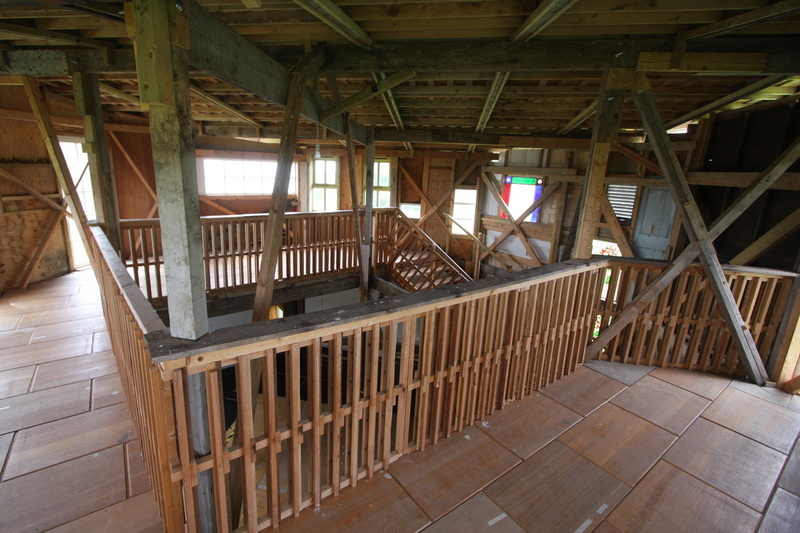 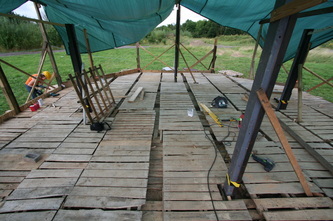 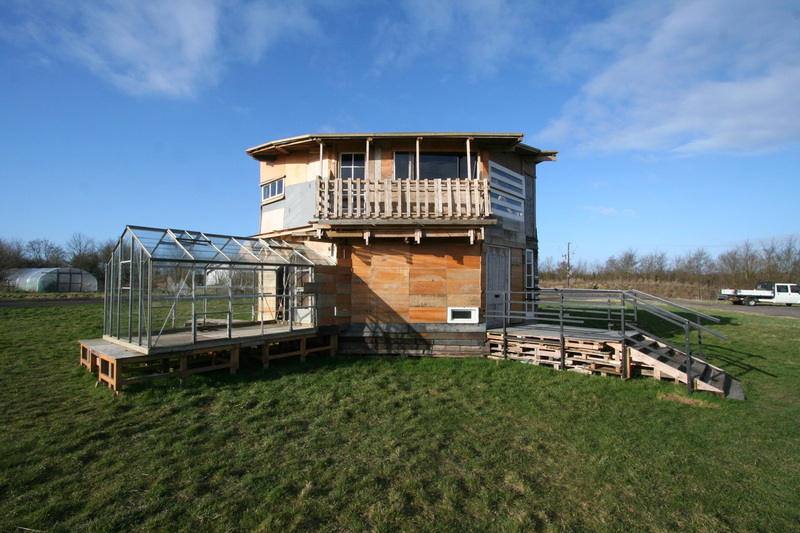 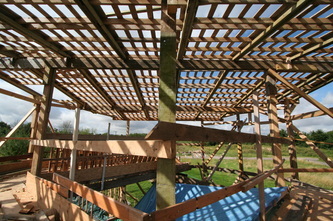 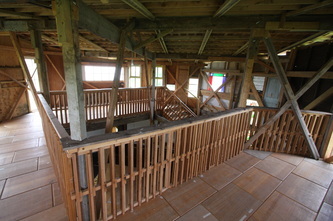 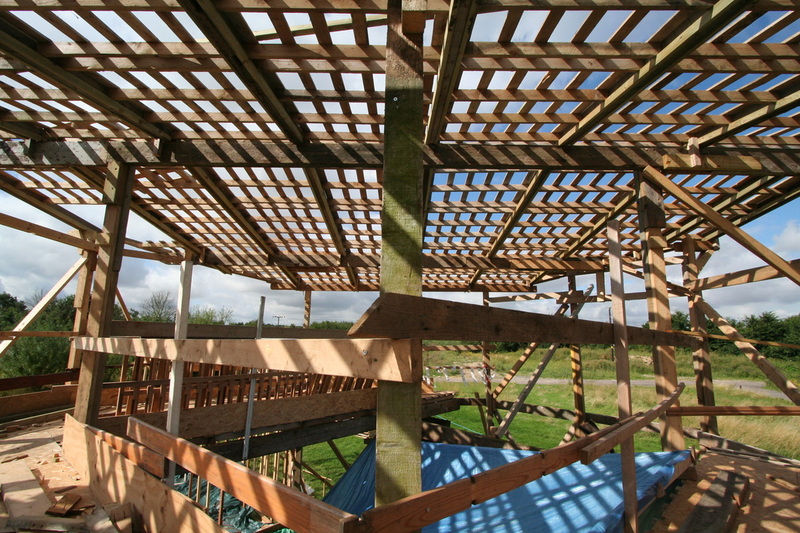 The floors of the upper story were also made from disposable pallets, our principal building material. Material stocks had to be replenished throughout the construction process. We had never taken on such a huge building project, and encountered a number of structural challenges that had to be solved in accordance with what was appropriate for the available materials.